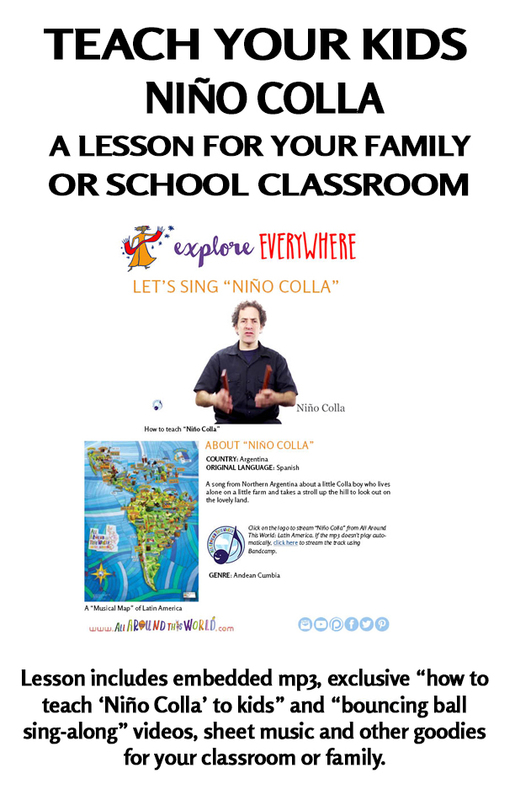 Niño Colla is a Spanish song about a boy from the Coya (Kolla) community of Northern Argentina who, living alone on his little ranch, sets off on a walk up into the hills. In the original he is wearing a “poncho,” a sombrero and one leather sandal, known as an “ojota.” He is also accompanied by his donkey and dog and plays his quena flute on the way. Most Kolla live in “yungas,” which are “misty forests” found high in the Andes mountains. When the Kolla people have made the international news over the last couple decades the story usually has to do with their protesting agribusiness and mining interests encroaching on the yungas and other native lands.